After an image alleged to be that of the heavily anticipated Samsung Galaxy S III was posted on Reddit yesterday, we have another leak today. Also found on Reddit, the image of what is claimed to be the Samsung Galaxy S III was posted by a friend of a Samsung employee who also tipped his bud to some of the specs on the model. According to this so-called Samsung insider, the Samsung Galaxy S III will have a 4.7 inch screen that is characterized as being a Super AMOLED Plus screen with HD. Under the hood will be a quad-core Exynos 4412 processor. There will be 2GB of RAM aboard along with a 12MP camera (with flash). A 2250mAh battery will be powering the device and the whole phone is just 8mm thick thin. Based on the information from the insider, Samsung is considering offering the Samsung Galaxy S III with Android 4.0 installed and TouchWiz on top of it, or giving the user the option to toggle between the latter and a stock Android 4.0 experience. Also, the unit will have a ceramic “micro arc oxidation” back. Obviously, we can't say that this is the real deal, nor can we be quick to say it is a fake. 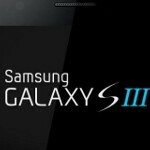 Just file this in the back of your mind and as more details emerge, we can get an idea of what the Samsung Galaxy S III will really look like. those specs sound too good to be true. i am inclined to believe it's a fake leak. But I have belief those spec are true...this is most legit leaked photo till date. Nope. It's fake. Look at how low the bottom of the screen supposedly is; too low imo. Specs sound great, but I would not put much faith in them. Actually, I think the photos w/ the front speaker are more likely real than this one. While the specs seem outrageous, Sammy did the same thing the last time with the Galaxy S2 as the first smartphone (at least android) that featured a dual core 1.2ghz processor, 8mpx rear and 2mpx front facing cameras. I can see how these rumored specs may be true...or at least close. The pic looks fake though. LOL, if you think that way you will never buy a phone man... GS3 will be released in June, by then the Xperia Z will be announced, so you wont buy the GS3, and after that Xperia Mint will be announced...so you won't buy the Z. Just get the XS..
No rather wait for the S3, if the rumors are true it's build quality will be better, it's specs will be a lot better and thus I'll be able to enjoy it longer before buying another new phone. Amazing, judging from the specs reviewers will have a hard time finding any cons about this phone. Idc if the pics are real the processor and screen specs most likely are. The part I'm hoping is true is the ability to switch between stock and touchwiz. that gets me excited. i like the design but isn't it a little to wide i mean it kind looks like a galaxy note? agreed, the screen of 4.7inches is too big. i thought samsung could be smarter on this one. 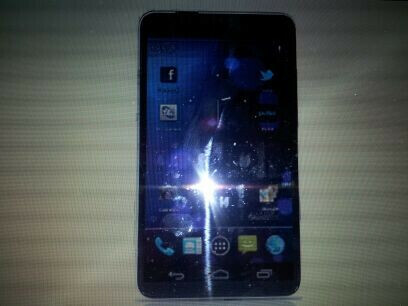 but its not too much bigger with the wasted bottom part of the screen being the android buttons. Won't that cause burn-in? Perfect specs! If all of it is true, then Samsung played out everything the best it could. Now just make some tv dock(like Sony's smart dock) that can go with this, and you will have my vote, Samsung. Wish to hell that its a fake!! I'd prefer physical buttons than space wasting on screen buttons!!!!! The Spec is great, something i alway want on android phone since day one, push phone hardware to its edge limit. Addition, Samsung camera is great but I definite said it needs to match Iphone4s or exceed. Anyway, the pic look more like Note, the S for more sport look. The Note has the wide body for taking note so the ratio close to 4:3, and SIII is more like a phone so will be more like Nexus 16:9.